Flashback to the glory days of gaming with iCade! 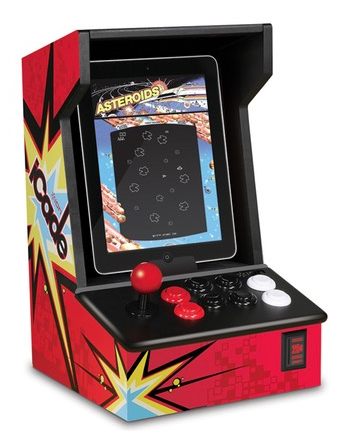 iCade integrates your iPad into an authentic, arcade-style cabinet complete with joystick and buttons! Impress your friends, family and co-workers with iCade’s great-looking retro design, and then challenge them for high-scores on the most entertaining iPad accessory imaginable!